Welcome to the June newsletter. Time certainly flies and we now are almost halfway through the year and have some more exciting stories to share in this month's newsletter. A particular highlight is the launch of our new world-class mobile F&B training in partnership with Hotelschool The Hague and Lobster Ink which was created to provide flexibility for Team Members to learn and develop their careers online. We also have some exciting new promotions within the region - Hilton Summer of Sport and the 115 promotion in the UAE – you can find out more about these promotions below and please make sure you take advantage of these fantastic opportunities to enhance your guest experience and maximise revenue over the coming summer months. This summer sees the world’s sporting elite compete in some of the largest events across the globe, including the Euro 2016 Football Championships and the Olympics to name but a few! 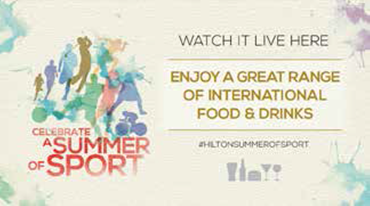 We have launched an exciting 2 phase promotion, Hilton Summer of Sport, featuring a selection of European and International themed beers and cocktails along with menu recommendations, recipe guides and promotional materials to help you enhance your guest experience and maximise your revenue during this time. There is also an opportunity for your hotel to win some monthly cash prizes based on the percentage improvement per occupied room plus $1,000 at the end of September for the hotel with the most improved full year forecast within your region! Full details of the promotion including a step-by-step guide can be found here. Please note that some of the promotional materials are mandatory in your bar showing sports so please do take some time to read the guide. Remember to use #HiltonSummerofSport in all your social media posts! 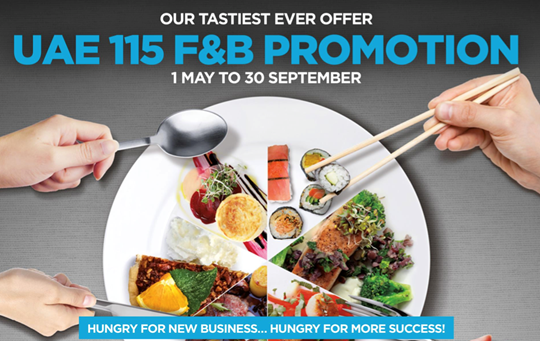 On 1st May, we were delighted to launch our first ever F&B promotion, the 115 promotion, which is backed by a full multi-media campaign. The media campaign, which commenced on 15th May, includes print advertising, advertorials, online advertising, email marketing and PR and social media as well as a campaign microsite www.hilton115.com. In addition to this, the offer will be promoted via display banners on the UAE hotel’s WIFI landing pages. Hotels will also promote the campaign in-house with assets such as plasma screens and transaction email assets. The promotion aims to drive footfall and incremental revenue for all 115 of our F&B venues in the UAE from 1st May until 30th September. The 115 concept revolves around “celebrating” and increasing awareness of all 115 of our F&B venues in the UAE. On 18th April 2016, Hilton Worldwide announced a partnership with Hotelschool The Hague and Lobster Ink to develop mobile enabled learning. Accessed via all mobile, desktop and tablet devices, the courses are available 24:7, which means Team Members have the flexibility to study when it is most convenient for them. The online courses are expected to be particularly beneficial to Team Members based in remote locations wishing to develop their careers further without access to local formal colleges or hotel schools. The courses will assist HWW improve the capabilities of our F&B Team Members and enhance food and beverage operations across multiple hotels. Congragulations to Lexington Grill at Waldorf Astoria RAK which has won the Caterer Awards Middle East Award in the category “Restaurant Team of the Year, Hotel Managed” which took place at the Conrad Dubai. 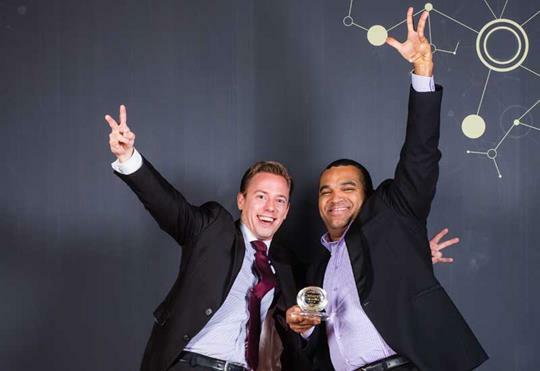 Highly commended in the same category was Trader Vics at Hilton Doha. The hotel's assistant outlet manager, Roy Lanslots, and chef de cuisine, Lij Heron, collected the award on stage, presented by Sanjay Murthy, managing director of category sponsor Figjam. The judges were impressed by Lexington Grill's efforts in making the restaurant into a reason for people to visit RAK and their commitment to personalising the guest experience. The judges were also won over by the kitchen team making Lexington the only restaurant in the Middle East to dry-age meat in-house. 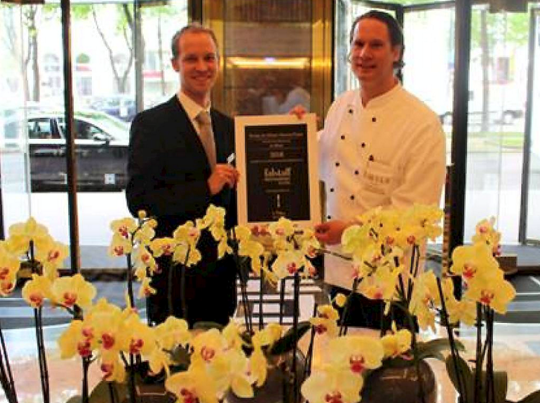 We are very proud to announce that Hilton Vienna Plaza’s ÉMILE Brasserie & Bar has been recognised by the Falstaff Restaurant Guide 2016 as one of the leading Restaurants in Vienna! Congratulations to Hilton Vienna Plaza’s Food and Beverage team, supported and inspired by F&B Manager, Wolfram Pizzera and Chef ,Erich Freund for providing extraordinary culinary guest experiences! 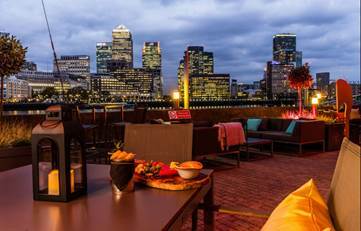 Terraza on The Thames was launched at Doubletree by Hilton Docklands on 6th May, at the Columbia Restaurant, Bar and Terrace and is already proving to be a great success. 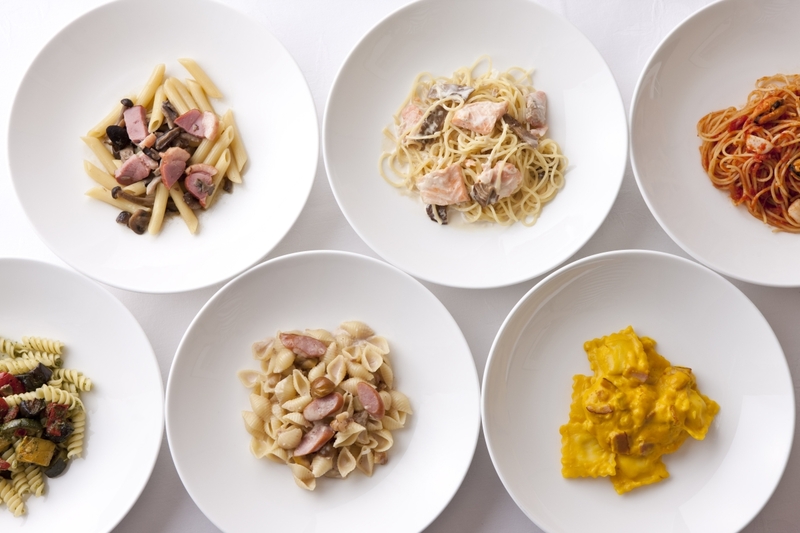 This Venetian-inspired, Thames-side pop-up bar is serving up a menu of Prosecco, Cicchetti (Venetian tapas) and live music. 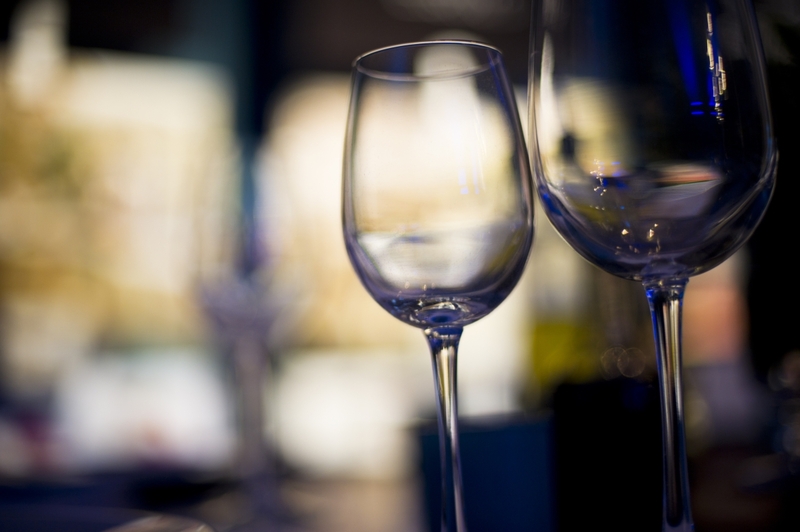 In partnership with the premium Italian wine specialist Bolla, guests will enjoy great drinks, food and music entertainment over the summer months. The Chicchetti menu is made up of small sharing plates typically served in Venice and features appetizing arancini balls with arrabbiata dipping sauce and tempting polenta chips with salsa verde and garlic mascarpone. Terrazza on The Thames will help increase revenue over the summer months and Hilton Docklands is looking forward to be welcoming many new guests to their beautiful terrace which will be the place to be in London. Please click here to view some amazing photos of the terrace. To encourage guests and further expand the awareness and value of waste reduction, the 'Clean Your Plate' campaign that was initially introduced to our Team Members at the Hilton Sharm Waterfalls Resort has now also been introduced to guests. 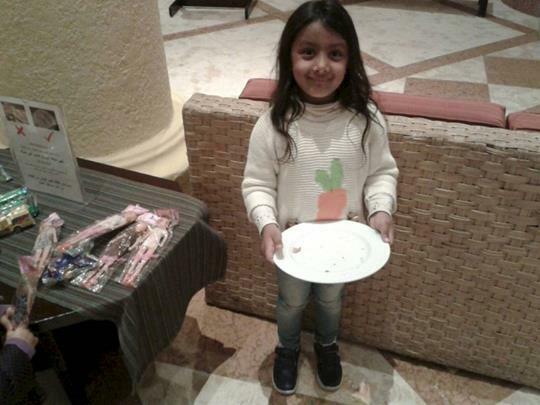 'Finish your plate and win a toy', was the slogan the resort used to obtain the buy-in of the parents - to encourage their children to finish their plate, which also encouraged the parents to do the same and become a role model. Kids and parents were equally excited to not fill their plates with more than they could eat and shown their empty plates to win a toy. Hilton Batumi has embraced the bee! Georgia and Ajara have wonderful honey production and the hotel has taken advantage of this by housing 4 hives on it's roof. Professional bee-keepers were also introduced to the hotel by partner Helen Bradbury from Mercy Corps and her team. 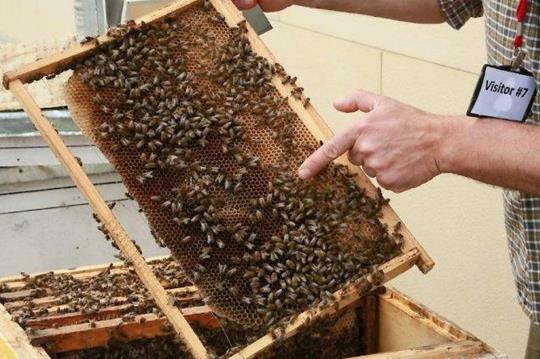 Hilton Batumi will use the honey to obtain donations from their guests, to help raise cash for the Believe Foundation. This Georgian based Foundation, looks after local children and the project is a great way of using what nature does so beautifully to help children in the community. Hilton Batumi and its partners are looking forward to giving back a little to the wonderful country of Georgia and spreading the light and warmth of hospitality! Hilton Tallin Park is now open! 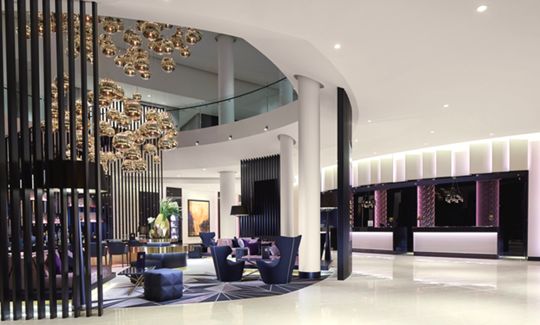 Hilton Tallinn Park opened on 2nd June, which is HWW’s first hotel in Estonia and first flagship property in Northeastern Europe. Located close to the heart of Tallinn's historic Old Town, the new hotel offers guests an ideal location to explore the medieval city. It is a landmark hotel for both Tallinn and Estonia and has 202 spacious guest bedrooms with panoramic views of the city and the Baltic Sea. More than 4.2million tourists visited Tallinn last year with an increase in visitors from the UK, Germany, USA and Asia and HWW is looking forward to putting Hilton Tallinn Park on the map as a key destination for both travellers and locals. Introducing a brand new signature steak house to the Estonian dining scene, The Able Butcher provides guests with a warm yet sophisticated ambiance and serves only the finest cuts of meat. 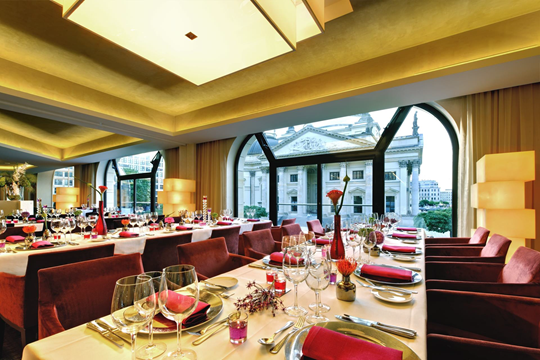 The restaurant houses an open kitchen so both guests and locals can witness their dishes come to life in front of their very eyes. For a more casual atmosphere, guests can dine at Café and Bar Linnutee, situated in the hotel lobby - a perfect spot to grab a hot drink or a light bite to eat. Many inspirational stories have already been shared on The Lounge, accompanied by some beautiful photographs. We have now launched an exciting new feature which enables you to also add video. Video is the perfect way to connect with others and add a more visual dimension to your story! We look forward to seeing some great videos at the Extraordinary F&B Lounge! Although the final Extraordinary F&B Magazine was published at the end of last year, we would like to remind you that you can still submit your stories on the Extraordinary FB website "The Lounge" so please submit your stories today. because you work for Hilton Worldwide. All content within this email is © Hilton Worldwide.